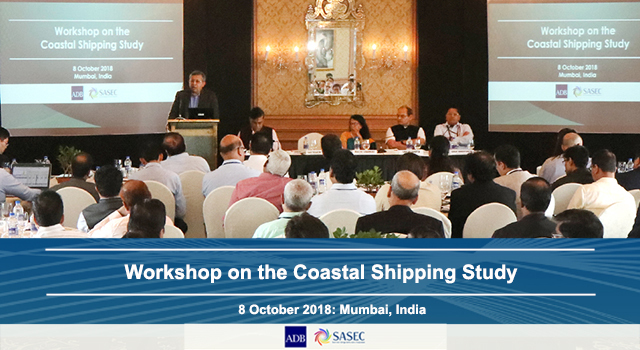 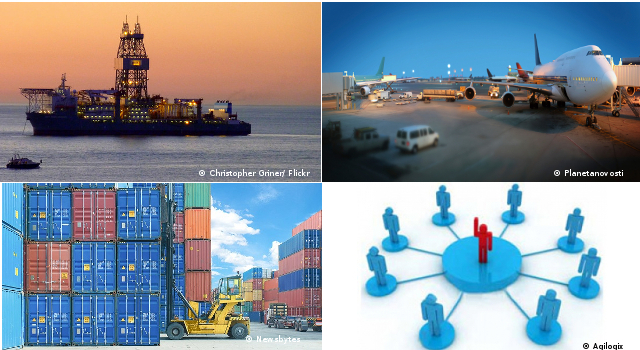 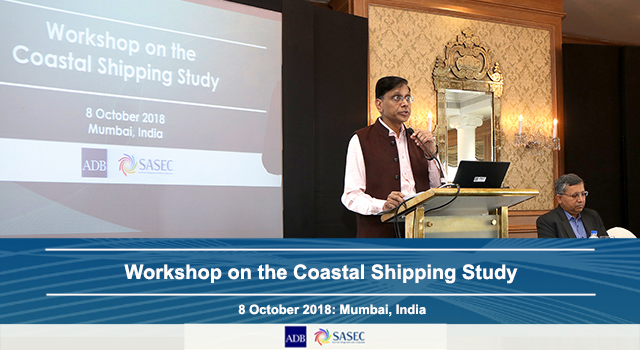 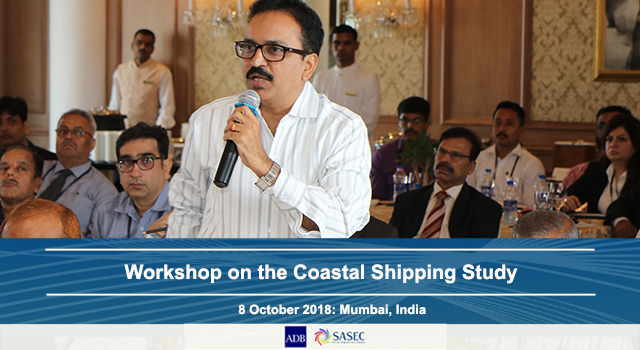 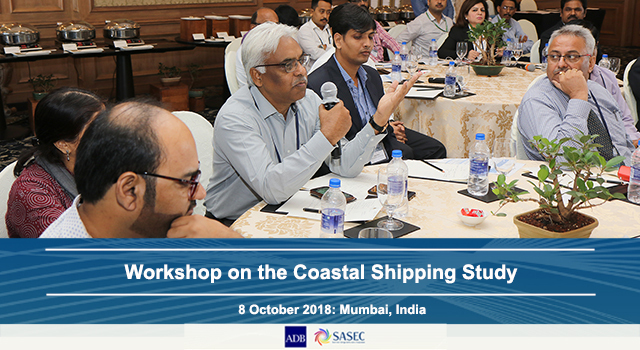 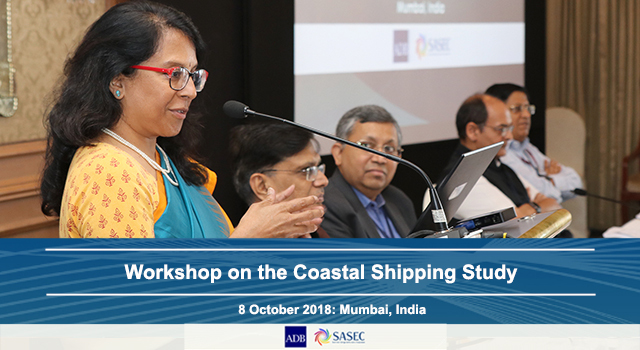 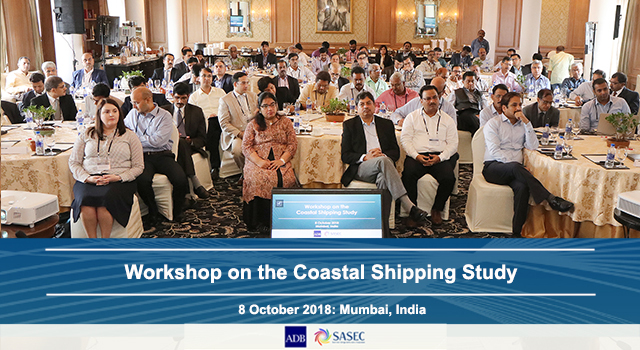 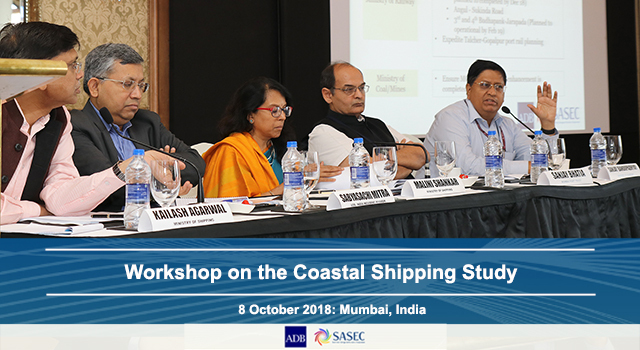 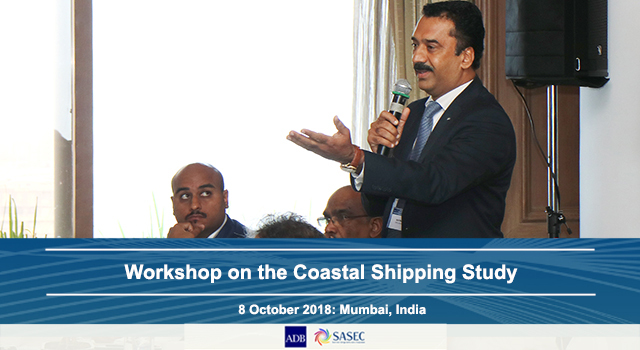 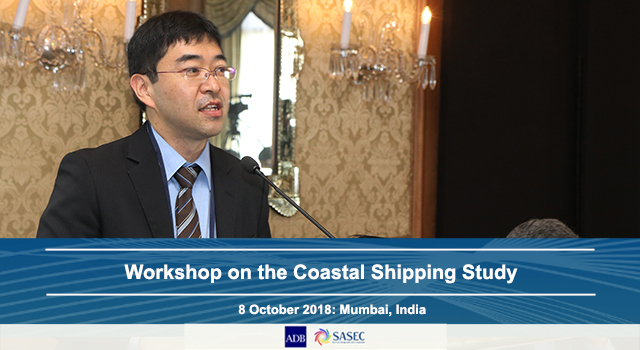 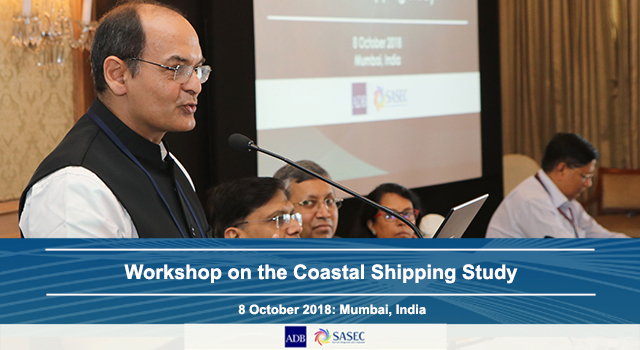 The Ministry of Shipping (MoS) of the Government of India and the Asian Development Bank (ADB) held a Consultation Workshop on the Study of Coastal Shipping in Mumbai, India on 8 October 2018. 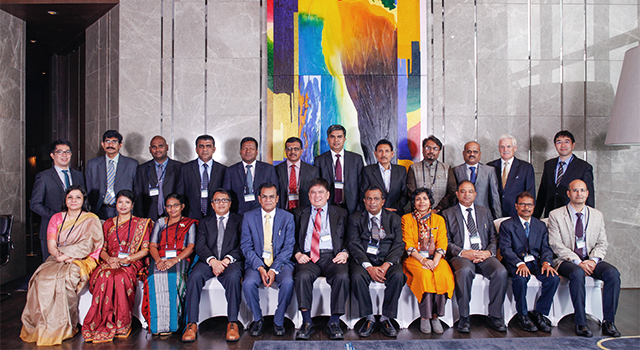 Exchanged views on potential interventions. 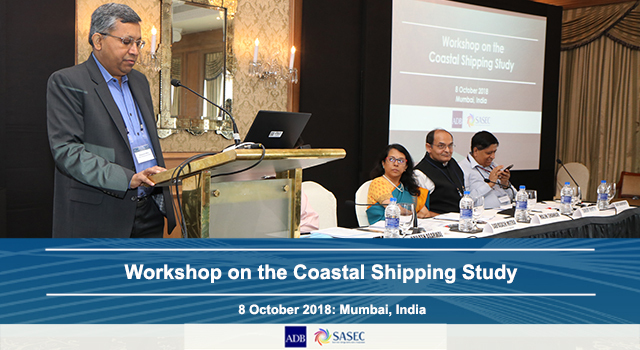 Mr. Kailash Aggarwal, Joint Secretary, MoS delivered the opening remarks. 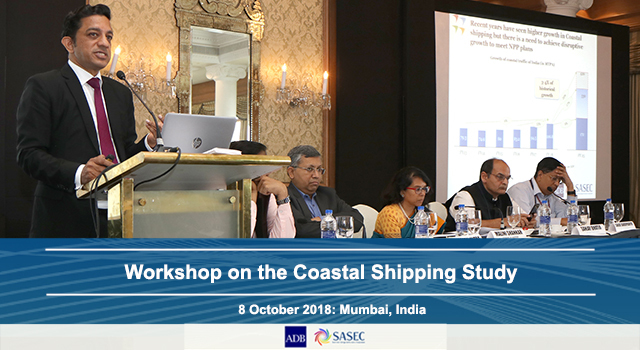 Mr. Malini Shankar, Director General, Shipping, and Mr. Sabyasachi Mitra, Deputy Country Director of the ADB India Resident Mission, co-chaired the workshop. 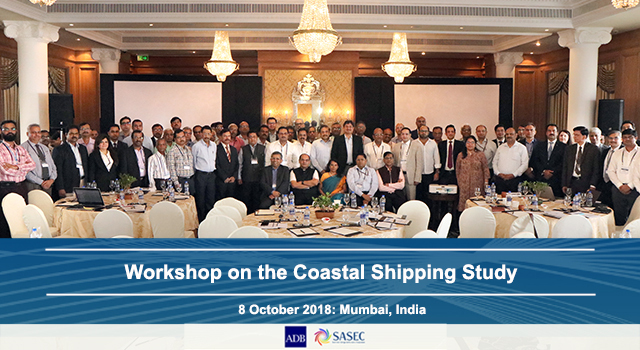 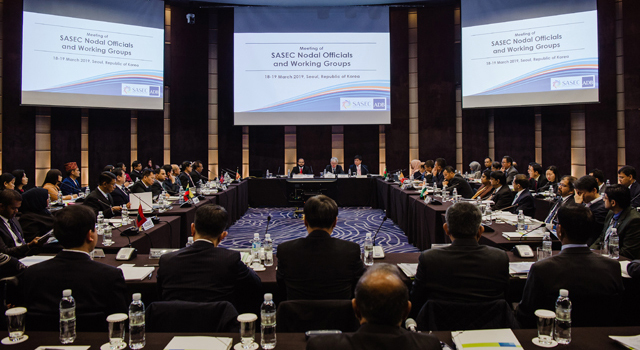 The Workshop was attended by more than 80 participants from relevant agencies of the Government of India, including the MoS, nodal agencies and line ministries, central agencies, shipping associations, and private sector delegations.